Phthalates are chemicals used in everything from cleaners to fragrance to cosmetics to and personal-care products. And yes, they are used in shampoos. Phthalates have also garnered significant levels of controversy in recent years. Toxicological studies have shown that phthalates can be harmful, and regulatory authorities have taken a strong stance. With the internet being what it is, the chemical has turned into a bit of a bogey man blamed for everything from asthma to adht to cancer to male infertility. The misinformation is strong with this one. But is the reputation deserved? 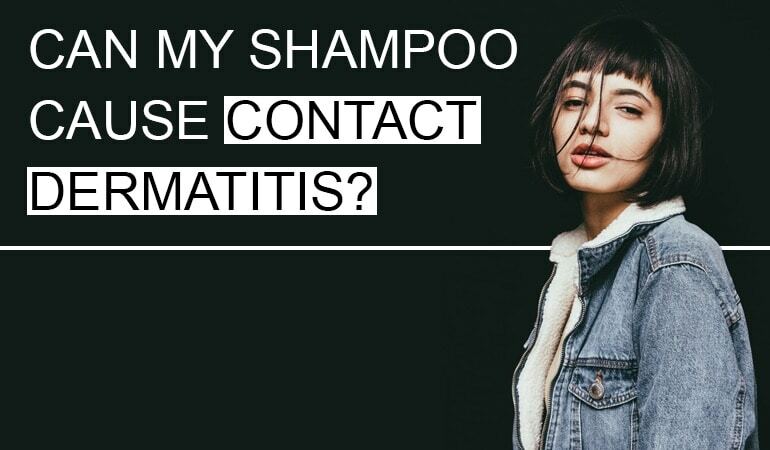 In true Dandruff Deconstructed fashion, we’ll look beyond the hype, review the evidence, study the regulatory decisions, and let you decide for yourself if you want to continue using products that contain the chemical. We’ll then recommend viable alternatives as well as listing the best Phthalates Free Dandruff Shampoos on the market today. Phthalates (pronounced with the ph silent – thalate) are plasticisers used by the cosmetics industry to increase the flexibility and durability of conditioning coatings . They are ‘diesters’ of 1,2-benzenedicaraboxylic acid – more commonly known as phthalic acid – and can be found in a range of industrial and household products, including: shampoos, nail varnishes, perfumes, vinyl floor tiles, garden hoses, and adhesives . In addition to altering the texture and consistency of the shampoo, Phthalates can also be used as a solvent to dissolve other shampoo ingredients. And, amazingly enough given the controversy, Phthalates are often added to the fragrance of a shampoo. Do you know the smell of smell of a new vinyl shower curtain? That’s the smell of phthalates right there. Phthalates are found in many cosmetics, as well as many household products, and so concern has been raised about the harms of accumulation. The main risks are from inhalation and skin contact, resulting in irritation and contact dermatitis . Major phthalate metabolites have been found in urine, indicating that systemic absorption is common . The evidence for the risks of phthalates is mostly based on rodent studies – testing potentially harmfully substances on humans is generally frowned upon. Low doses of phthalates in animals have been shown to cause: testicular toxicity leading to infertility; steroid disruption affecting the ovaries; hepatocellular adenoma and pancreatic cancer; and airway remodelling correlating with asthma . The mechanism by which phthalates cause so much disruption is thought to be through activation of ‘peroxisome proliferator-activated receptors’ (PPARs) – which help to regulate which genes are switched on and off. It has been suggested that the higher concentration of PPAR in rats compared to humans is one of the reasons why so many harmful effects have been observed in animal studies . The risks of phthalates are still not fully understood, but the numerous animal studies have prompted regulatory authorities to impose restrictions on their use. In 2008 the European Union (EU) produced a 588 page ‘Risk Assessment Report’, which indicated that there was a need to reduce the risk to consumers . A 2012 amendment to 1999 regulations prohibit LMW phthalates from being manufactured in the EU without specific permission, and concentrations cannot exceed 0.1% . Are Phthalates listed in my shampoos? According to the FDA, Phthalates must be declared on their list of ingredients. Unless it’s added as a fragrance, and then it doesn’t. While this may seem incredible, it’s the same in the EU. If you want to avoid Phthalates completely, the only way to be sure if to avoid all products with Fragrance in the ingredients list. On the FDA’s own site, only approx. a third of hair care products contained Phthalates in their fragrances, but the only way to totally avoid Phthalates completely is to not use the other two thirds as well. How is this so in 2017? Some products are listed as Phthalates Free but I have seen a handful in the last few years. That said, while avoiding all shampoos that contain fragrance and phthalates may seem a daunting task, you can use our search tool to find all shampoos contain neither fragrance or phthalates. 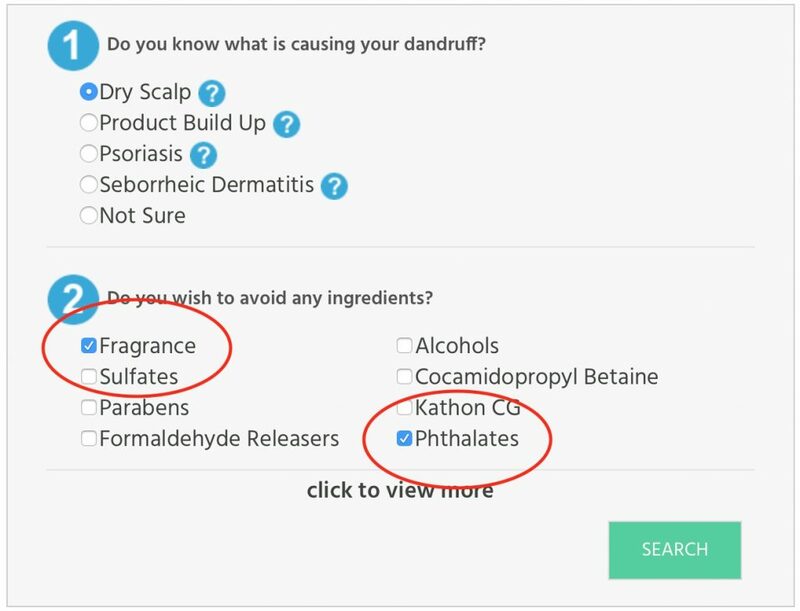 Simply select what is causing your dandruff, indicate that you wish to avoid Fragrance and Phthalates (as shown below) and press Search. The bad press around phthalates has prompted some companies to move away from their use. Plasticisers are required in shampoos that also include glycols and other polymers – offering beneficial qualities like conditioning, lather, and luxurious feel. Neither ATBC nor DINCH have been associated with the kind of harmful toxicities observed with phthalates, and are generally less irritating. They are also less frequently used, and so the main concern of phthalates – accumulation – is a significantly lower . More research is needed to find natural alternatives, but in their absence, moving away from phthalates to ATBC, DINCH, and other plasticisers is a positive step. 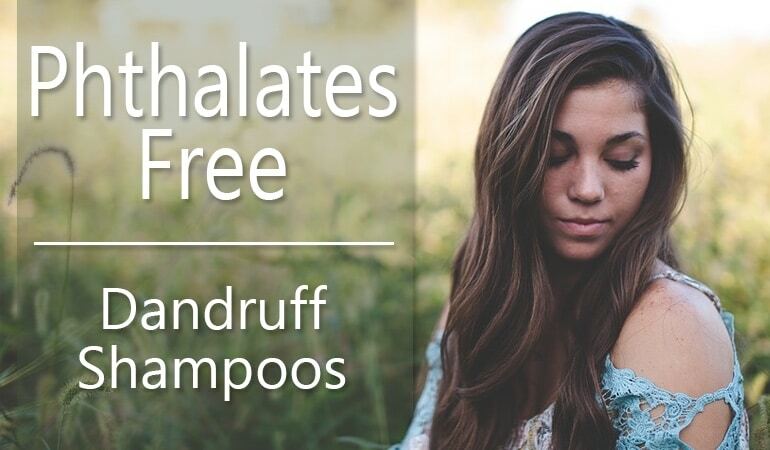 Note, this list contains all shampoos that are free of Phthalates listed on the ingredients. Some of the shampoos may contain Phthalates hidden as a fragrance. 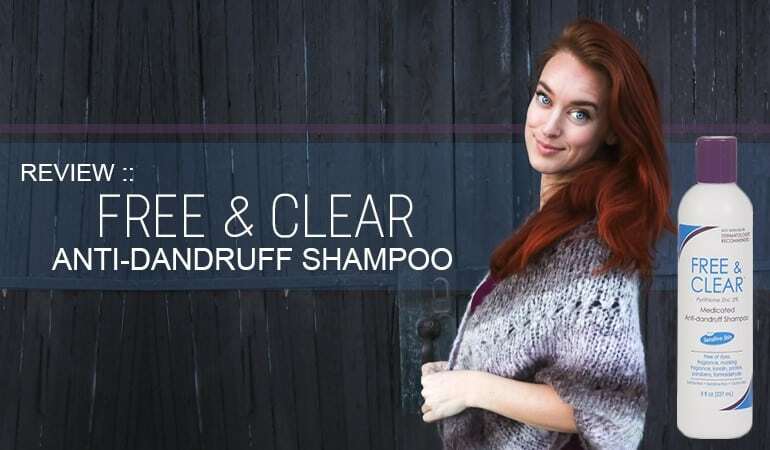 if you want to be absolutely sure your products are Phthalates free, you will have to use our search tool and search for Fragrance and Phthalates free shampoos. ATSDR. (2002). Toxicological Profile for Di(2-ethylhexyl)phthalate (DEHP). Atlanta. Kim, S. H., & Park, M. J. (2014). Phthalate exposure and childhood obesity. Annals of Pediatric Endocrinology & Metabolism, 19(2), 69-75. Calafat, A. M., & McKee, R. H. (2006). Integrating biomonitoring exposure data into the risk assessment process: phthalates [diethyl phthalate and di (2-ethylhexyl) phthalate] as a case study. Environmental Health Perspectives, 114(11), 1783. Bekö, G., Weschler, C. J., Langer, S., Callesen, M., Toftum, J., & Clausen, G. (2013). Children’s phthalate intakes and resultant cumulative exposures estimated from urine compared with estimates from dust ingestion, inhalation and dermal absorption in their homes and daycare centers. PloS ONE, 8(4), e62442. Wittassek, M., & Angerer, J. (2008). Phthalates: metabolism and exposure. International Journal of Andrology, 31(2), 131-138. Ventrice, P., Ventrice, D., Russo, E., & De Sarro, G. (2013). Phthalates: European regulation, chemistry, pharmacokinetic and related toxicity. Environmental Toxicology and Pharmacology, 36(1), 88-96. Abbott, B. D. (2009). Review of the expression of peroxisome proliferator-activated receptors alpha (PPARα), beta (PPARβ), and gamma (PPARγ) in rodent and human development. Reproductive Toxicology, 27(3), 246-257.
brilliant article and so thorough. Will definitely be sharing this.